Prezentare Each Geronimo Stilton book is fast-paced, with lively full-color art and a unique format kids 7-10 will love. 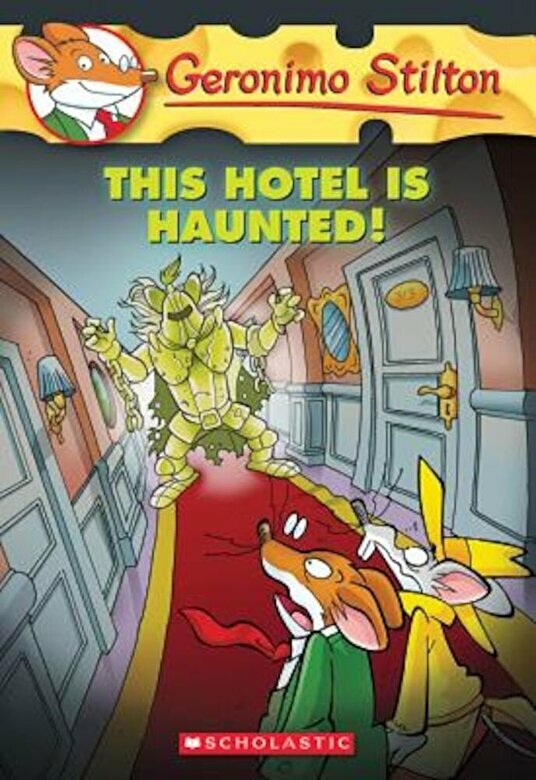 My good friend Hercule Poirat and I were called to investigate mysterious events in the famouse Grand Hotel in New Mouse City. There was a ghost haunting the hotel and scaring guests It was wearing armor and carrying a ball and chain. I know that ghosts don't exist, but this was pretty spooky. Would Poirat and I be able to solve this spine-tingling mystery?